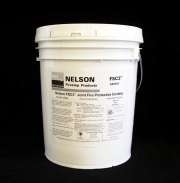 Nelson Firestop Fire Protective Joint Coating is water based, acrylic latex, elastomeric, fire protective coating for use on construction joints. 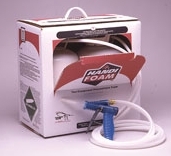 It is designed for labor saving spray applications onto construction joints and perimeter joint systems. Nelson Firestop Joint Coating is specifically for applications in construction joints, wall to wall, floor to wall, floor to floor head of wall and perimeter joint curtain wall applications where thermal expansion and contraction of joints may be encountered.